Some people want to fill the world with Spanish love songs. Remastering update: 70 songs down. That would seem like some solid progress — and it is — except for this part: 118 songs still to go. Woof. If you’re one of the two or three people I’ve promised a mega package of music to, this is the main reason it’s taking me so long to put it together for you. I want you to hear these albums the way they’re meant to be heard. Hopefully it’ll be worth the wait. One or two things aside, I have no memory of any of this stuff. And when it comes to music, my brain doesn’t tend to do a whole lot of forgetting. So it’s been fun digging up all these little surprises. Yesterday I got down bed tracks for a song called “La Noche Está Viva con la Locura de los Hombres”, which translates to “The Night Is Alive with the Folly of Men”. It’s sung entirely in Spanish and features tender lyrics about walking naked on the moon and urinating in silence, “As God would do if he drank a lot of beer.” I want to see if i can get someone to play mariachi trumpet on it, because I think that would be hilarious. AFTERTHOUGHTS landed inside the top ten on Earshot’s national folk/blues/roots chart last week. I’m not sure how that’s even possible when CJAM has been the only station in the known universe to get a copy, but the Earshot chart don’t lie. I didn’t find out about this until I got an email from Marlo, who counts down the weekly folk/roots/blues chart on a show she hosts over at CJRU in Toronto called The Rodeo. Thanks to her for the tip-off, and for playing “Dorsal Venous” on her show. 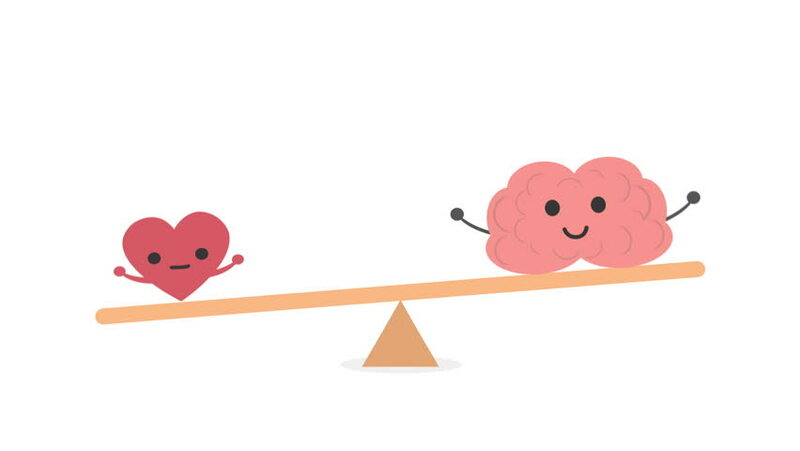 The heart and the brain. On this, the ninth Valentine’s Day the blog has seen, I think a love song is in order. And no, it’s not the one some unknown person was screaming somewhere nearby a little before dawn that went, “I HATE YOU, WHORE” — you had to be here to appreciate that little ditty. This song was written for GIFT FOR A SPIDER but went unrecorded for a year or two. It just might be the most tender thing I’ve ever written, with one gooey, heartwarming line after another. I’m content to have no inspiration to write songs like this anymore, but I can’t say I don’t get a kick out of the venom, immature as it may be. Who says awful, soul-destroying, toxic relationships that last all of four weeks aren’t good for something? Ain’t got time to work out a place to be. This whole remastering thing is a slow slog. But man, is it ever worth the tediousness. If you’ve heard THE CHICKEN ANGEL WOMAN WITH A TRIANGLE, you probably know this song. It’s one of several that’s got quite a bit of clipping going on. Here’s what it sounds like now, and what it always should have sounded like. To say the song is easier on the ears in this quieter form goes beyond being an understatement, and flirts with Chuck Norris levels of truthiness. I can’t believe I ever found a way to justify letting all that clipping happen just for a little extra loudness. Nothing like that will ever happen again on my watch. For anyone who might be mastering their own music at home and wrestling with the question of whether or not they should over-compress it or introduce unnatural digital distortion in exchange for some additional volume, I offer the above as an audio add-on to my strongest recommendation that you stay away from that slippery slope altogether. Concentrate on getting things to sound as good and dynamic as you can, without any consideration given to loudness at all. If anyone is miffed that they have to turn your music up a little louder than some of the other albums in their collection or they don’t want to listen to your stuff if it means they have to spend two seconds making a slight volume adjustment, well…you don’t really want people who are that goofy listening to your music anyway, do you? 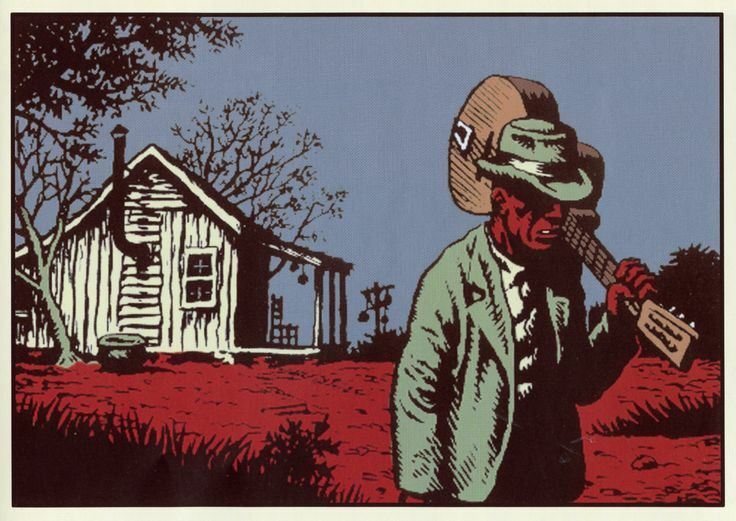 As for the picture there, that’s a colourized panel from Robert Crumb’s Patton — a retelling of the life of delta blues legend Charley Patton. A few historical inaccuracies aside, it must be one of the best comic strips Crumb’s ever created. It’s difficult to find in printed form for anything like a reasonable price, but you can read it online over here. Eighty-eight keys and some lies. The piano shows up in the things I’m recording all the time in a textural role, but it’s been a long while since it operated as any kind of consistent musical driving force. I think you might have to go back to MEDIUM-FI MUSIC to find the last album where the piano provided the guts for more than a song or two. I’m not sure it’s as simple as not being able to bring the upright upstairs where a lot of ideas are born. 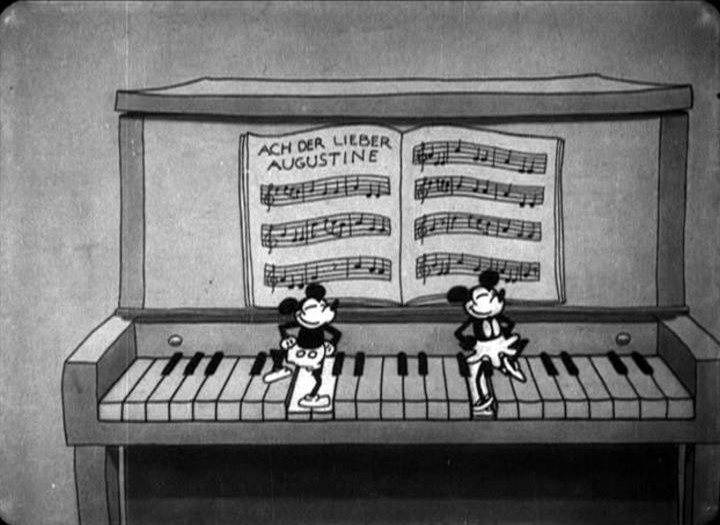 For some reason I just don’t seem to sit down at the piano and wander as much as I used to. I don’t know why. There’s really no excuse for that. It’s not as if I don’t keep the beast in-tune. I thought it was about time something changed there. So I’ve been making a point of recording more piano songs lately. Here’s one of ’em. Even if it ends up on an album, I don’t think sharing this one is giving much away. A naked tiny song is all it is. But sometimes I like those naked little tunes an awful lot. And sometimes the heat comes on near the end of one such tune, a clicking sound is made, and the piano mics pick it up, but you like the performance enough to live with the click. This is one of those times. The first verse is about mockingbirds. Did you know some of them lay their eggs in the nests of other birds, and then their offspring bully any other young occupants out of the nest and steal their food, leaving the adults with no choice but to raise them as their own? I find that fascinating, and kind of horrifying. The second verse is about being a self-aware organic compound derived from sugar. A state of being we all think about from time to time, n’est-ce pas?